TPS and partners have three NGSS programs K-8, and supplements for TK and G10-G12 You can view the content and see information about each program here. TPS has created the programs using project-based learning; cross curricula materials with inclusive lesson plans. It follows the five-E model and DAPIC process where students design, assess, plan, implement and communicate to learn science content. Each program is underpinned with a strategy of cross curricula learning; literacy and core subject language being key. We use STEM projects, Vignettes, Science is A Verb, Traditional lesson plans, Arts projects, Activity reader books, interactive home learning and practice, and by grade, by skill level assessments to ensure we cover all requirements. 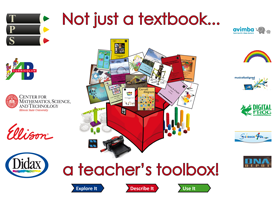 Materials for EL and Special Education students, and for at and advanced learners are included such as a focused tutorial with science content in bite-sized chunks and a K-8 picture glossary. Assessments, visual, tactile, and written are included by skill levels and performance tasks K-8 are available with scoring rubrics. For all parents, we will continue to sell individual books, and run workshops to enable you to help your children at home. We will create home test preparation packs by domain, by grade. Professional development courses are available for all schools together with a 24-hour helpline for support. As school districts have the choice of integrated or topical middle school delivery, TPS offer both options. Our program has by grade kits available in class sets of x 30. However, we also provide kits for up to x 5 students to ensure varying class sizes can be catered for and homeschool families can use the program. Kits can also be personalized. Maz is happy to set up and run an introductory webinar for you.